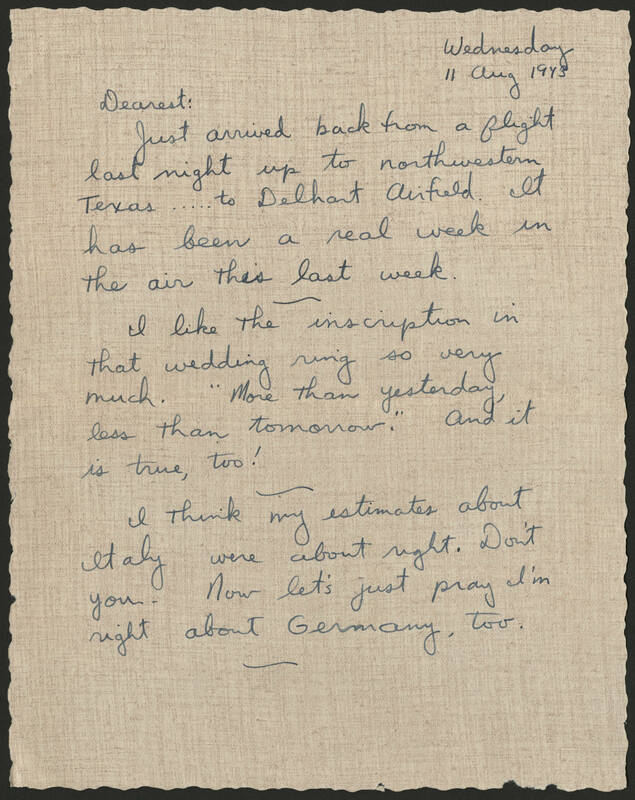 Wednesday 11 Aug 1943 Dearest: Just arrived back from a flight last night up to northwestern Texas.... to Delhart Airfield. It has been a real week in the air this last week. I like the inscription in that wedding ring so very much. "More than yesterday, less than tomorrow." And it is true, too! I think my estimates about Italy were about right. Don't you. Now let's just pray I'm right about Germany, too.